Someone left this little pile here! A few years ago, I left a comment about some sea glass beaches in Cuba and said I'd get you some pictures. Somehow, every time I went out there afterwards I always forgot to bring the camera. After five years here, I'm leaving GTMO next week; so I grabbed the camera today and drove down to glass beach to take a few pictures. Just found your site this morning when searching for sea glass in Eastport, Maine. What a surprise! 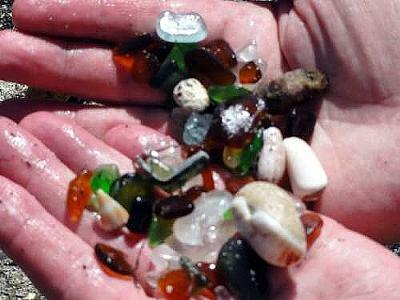 I think I will be taking a short sea glass vacation up the East Coast to Canada. 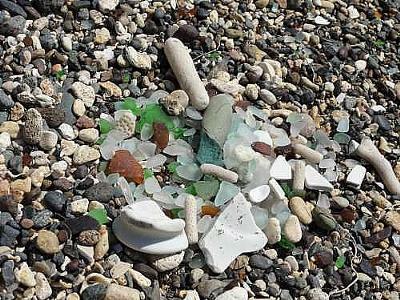 My first sea glass search was in GTMO on several of the beaches there. 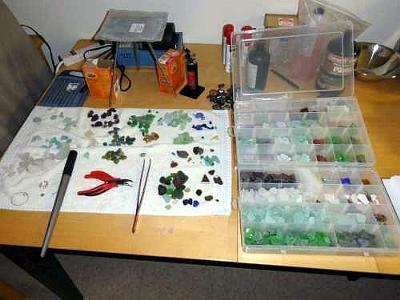 I actually brought back over 25 pounds of sea glass in a beautiful array of colors. Thank you for all of the great info and sparking a well earned break traveling to the beaches your readers have posted. Thank you for your kind comments and happy hunting! Hello, i'm traveling to Cuba in October, and would love to know if there are other areas like this beach on Cuba? The GTMO beach is restricted still, correct? 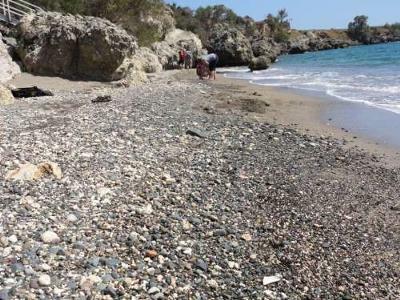 Would love to find some beach glass while i'm there! Thanks for any advice you can offer.